Adjustable and removable spin dial gives a snug, comfortable fit. Adjustable chin strap. 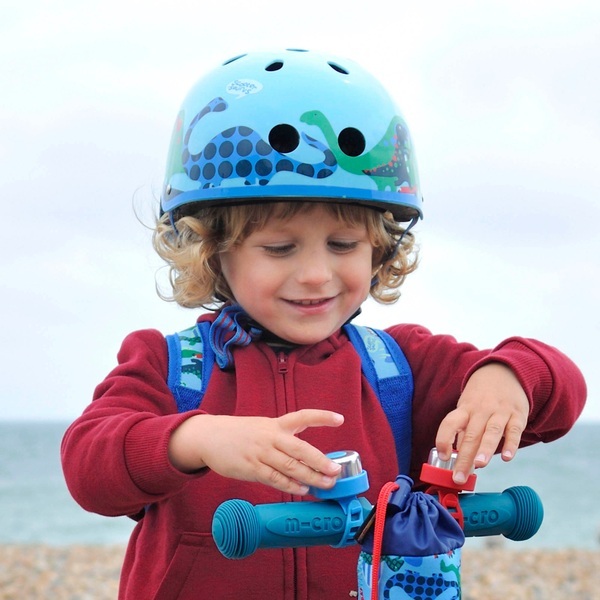 Micro Safety Helmet Scootersaurus is ideal for using when you are cycling, skating or even on your scooter. This Micro Safety Helmet has an adjustable and removable spin dial which gives a safe and comfortable fit.